Firstly these photos are PRE haircut that i had scheduled, i'm not wearing extensions. So i put this outfit together in a way which incoporated a bit of a summery feel to it. I see the fringe theme seems to have become a big hit again so i decided to drag my old cardigan type thing out from last years summer clothes, it's light and lovely but it flippin' gets caught and pulls on everything. I was sent this lovely necklace by the people over at Lylia Rose, it's a lilac topped heart necklace. 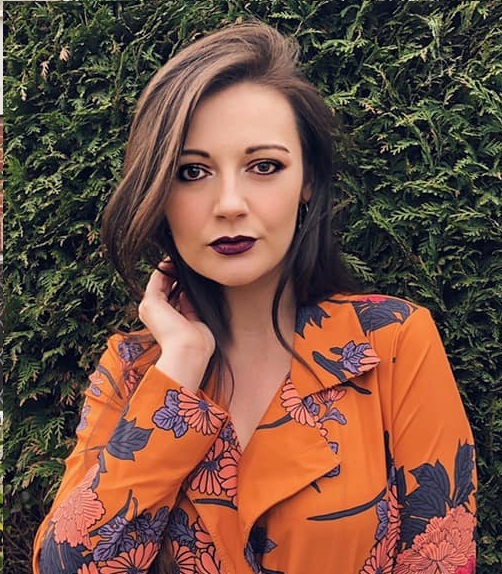 I find that this piece really can go with anything, and the dark gold chain is so beautiful and can be that extra piece to really make an outfit, like in this instance for example! The heart necklace is so pretty and has lots of different coloured diamantés on it, making it really attractive and versatile, as it could be worn with more or less any outfit due to the variety of colours in the necklace. I love the length of the necklace too, long necklaces are one of my guilty pleasures! That cardi is gorgeous, really stands out against the black! Gorgeous! 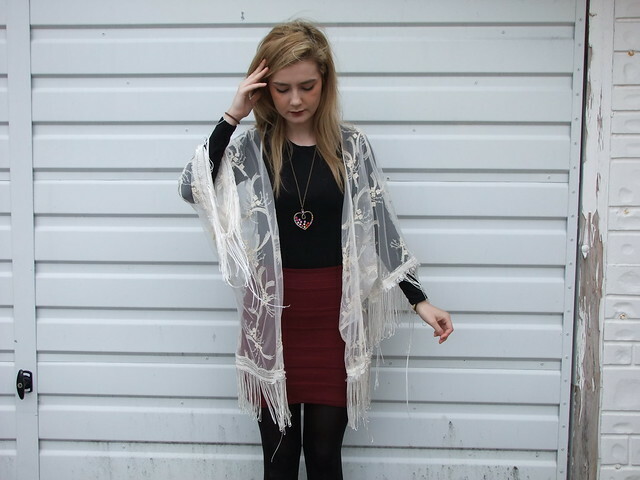 Love the cardigan/kimono, perfect for the summer! 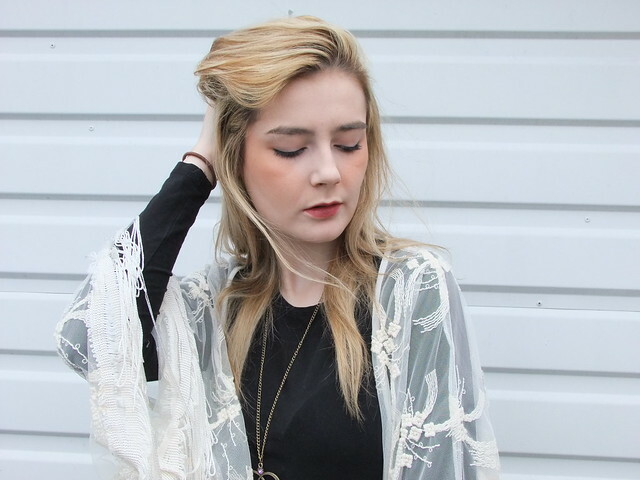 I'm in love with that sheer cardi! It's amazing. Love the way you've styled it Courtney. Gorgeous outfit love that dress! i want your cardi :)!! such a pretty kimono top. i love the intricate details of it, but i can see it getting caught on things! i always snag my clothes no matter how careful i am! I really love that cardigan! The detailing is gorgeous.